Gritty battle royale game Fear the Wolves has a new Early Access update providing tweaks to maps, loot, weapons, and performance. Battle royale fans who like a focus on first-person action and a hefty serving of added grit are likely already aware of Fear the Wolves, the upcoming release from the crew at Vostok Games. Fear the Wolves is currently in Early Access, giving the developer a chance to fine-tune some of the game's features ahead of its planned launch next year, and it just got a fresh new update that focuses on performance, weapon and loot balancing, and overall immersion. Vostok Games states that these latest changes are inspired by feedback gathered from the community, the likes of which have allowed them to "roll out multiple updates and improvements." Top among the list of changes is a focus on performance optimization, with the team stating that players should see a "significant' improvement to performance following the update. 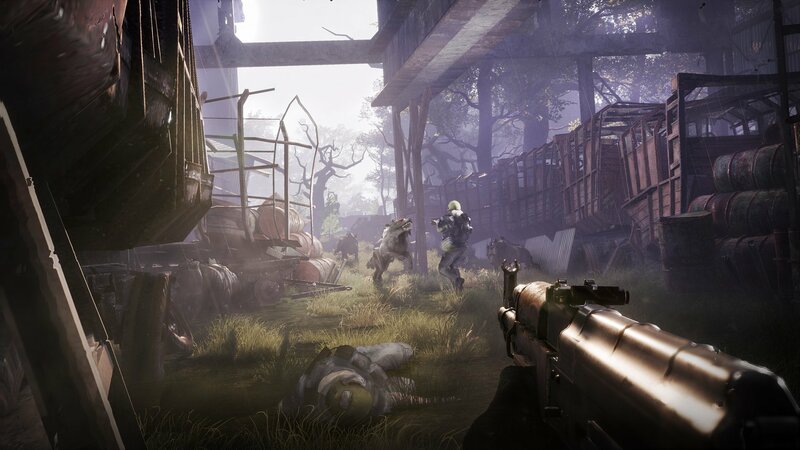 The game's maps have also been adjusted, with tweaks to both landmarks and photography, efforts which are meant to draw players further into the game's dark take on Chernobyl. The team has also made various balance adjustments to both loot and weapons, which should help not only help keep players engaged, but make sure that everyone is able to enjoy a proper challenge. Players who want to get the full scoop on the update can find more details featured over on the official Fear the Wolves community forum. The game is available for purchase now through Steam Early Access, and gamers can expect the Fear the Wolves to make its full-scale release sometime in 2019.